I’m a huge Seth Godin fan and hope to be as inspired as his writings demonstrate. 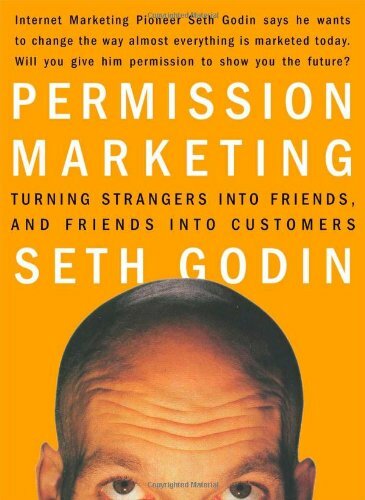 If you haven’t already, I suggest buying his book “Permission Marketing“. His notions back in 1999 spawned what we know about marketing today. This and another book “The Quiet Revolution in Email Marketing” Bill Nussey of Silverpop (my former CEO) helped transform me from an HTML dabbler geek to understanding that the new method of marketing/selling is buyer centric, rational and methodical. 1) Revenue items require good funnel metrics. 2) Cost elements will require insights with the help of IT and good marketing finance. Seth mentions that you can use these metrics to explain successful vs. unsuccesful company websites, however if well defined, you should be able to take these metrics to compare the “truth” behind one campaign vs. another.